Hello Linux Geeksters. As you may know, Firefox 34.0.5 has been released, being the first release that uses Yahoo as its default search engine, for the US users. 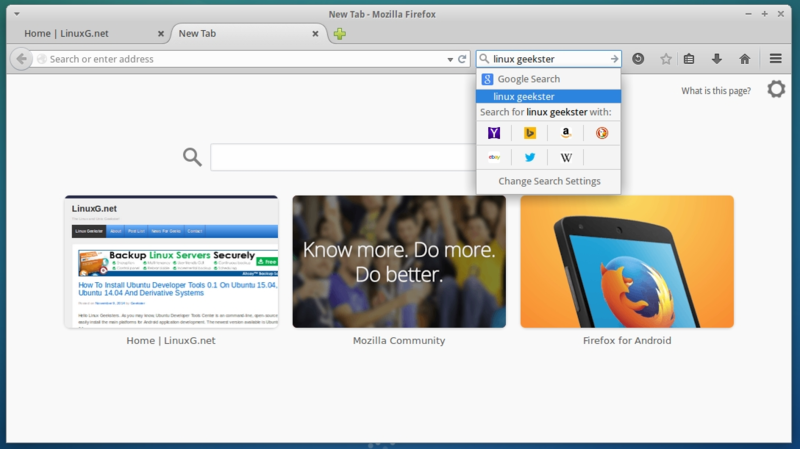 Among others, it also comes with a new search bar experience, better support for easily switching themes in the customizing mode has been implemented, the Firefox Hello real-tine communication client has been added, SSLv3 has been disabled and the Wikipedia search now uses HTTPS for secure searching (en-US only). For more information about this release, see the changelog for yourself. In this article I will show you how to install Firefox 34.0.5 on Ubuntu 14.10 Utopic Unicorn, Ubuntu 14.04 Trusty Tahr, Ubuntu 12.04 Precise Pangolin, Linux Mint 17.1 Rebecca, Linux Mint 17 Qiana, Linux Mint 13 Maya, Elementary OS 0.3 Freya, Elementary OS 0.2 Luna, Pinguy OS 14.04, Peppermint Five, Deepin 2014, LXLE 14.04, Linux Lite 2.0, Debian Jessie, Debian Wheezy, Fedora 21, Fedora 20, OpenSUSE 13.1, OpenSUSE 12.3, Mageia 4, OpenMandriva 2014, ROSA Desktop, Arch Linux and Manjaro systems. Because Firefox 34.0.5 is not available via any repository yet, we have to download Firefox 34.0.5 from the Mozilla site, extract the archive, move to /opt and alias the launcher. To start Firefox 34.0.5, just open a terminal, type firefox and hit enter. 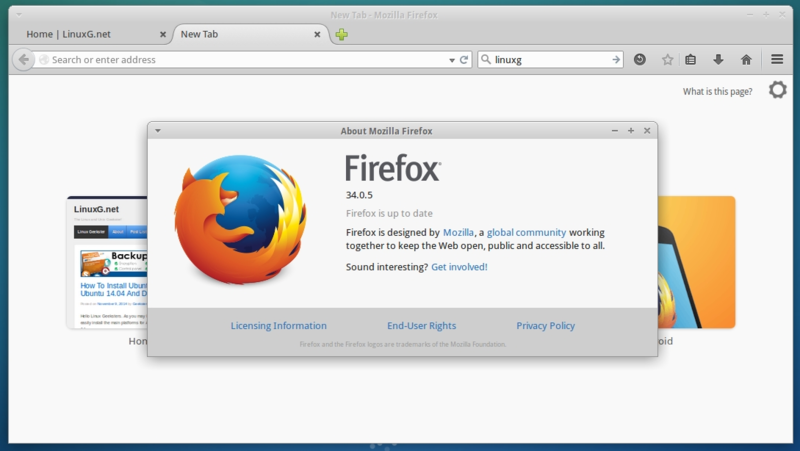 Note: This will replace the version of Firefox you have already on your system with Firefox 34.0.5.